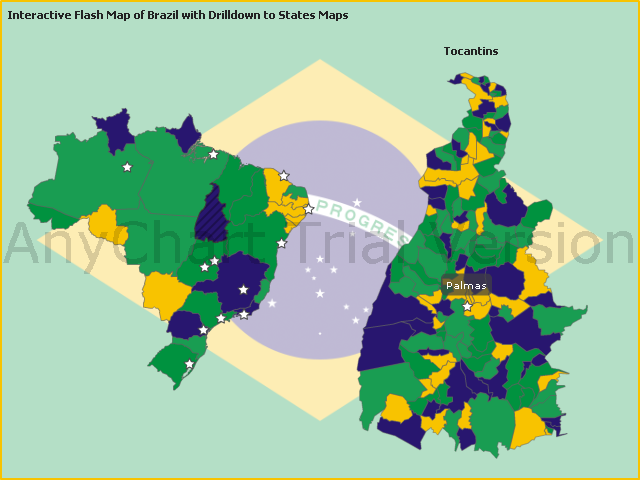 Good news for AnyChart customers from Brazil – today we have published maps of all states of Brazil. Interesting facts are that back in XVI century the current territory of Brazil was divided into Captaincies, which are a historical administrative divisions of the former Spanish and Portuguese colonial empires. Each one was governed by a captain general. In the Portuguese Empire, captaincies (capitanias, in Portuguese) were the administrative divisions and hereditary fiefs of the Portuguese state in some of its colonies. 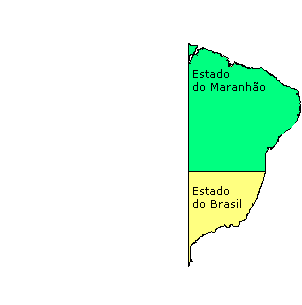 Since that time many things have happened and Brazil administrative maps were changed several time. The last reform have happened in 1990. So, now you can create Drilldown Maps, Geographical Related Dashboards, Real Estate, Distributor, Franchise, Dealer, locators, statistical or reporting applications etc. – for Brazil Market. 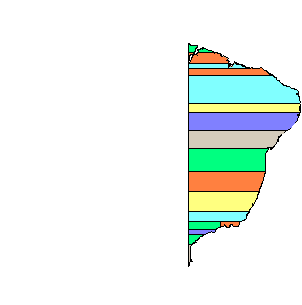 All you need are AnyChart Flash Maps and Sample Source Code from Brazil Flash Map Sample. By the way – Internet usage in Brazil has increased greatly in the last few years and in September 2007 was estimated in 42,600,000 people by ITU (International Telecommunications Union), and a 22.4 % penetration rate, and 6,417,000 of users are Broadband subscribers (June/07, per Teleco) with 3.4% penetration rate. Brazil is the seventh country in Internet usage in the world. AnyChart for SharePoint beta is available now. It is a charting component designed specifically for Microsoft’s SharePoint portal technology. This web part allows you to create different charts based on SharePoint list data. This product doesn’t require installing any code to the server. AnyChart Flash charting technology is used as the charting engine. Using AnyChart for SharePoint you can easily build and configure any dashboard in minutes. This solution intended for everybody who deals with creation of dashboard, reporting, analytics, statistical, financial or any other data visualization solutions.